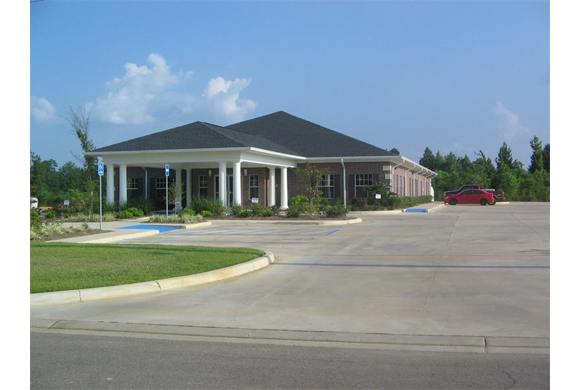 The Animal Hospital has proudly served our community since 1947. Our lobby has a kid's zone with toys and books for children. We keep a variety of Hill's Science Diet in stock for your convenience. 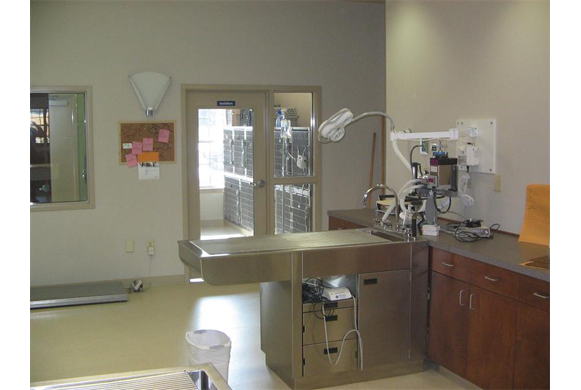 The four fully equipped examination rooms enable our veterinarians to efficiently care for your pet. Our lab enables us to perform hematology and serology in the clinic for accurate and speedy diagnosis. Our digital radiographs are instantly uploaded for us to adjust the size to better see your pet's image. Being a certified laser clinic, our laser therapy helps aid in the treatment of several diseases with the most common being pain management due to arthritis. Treatment table island. Two dry and one wet table are available for multiple procedures. Dental procedures and wet table. Isolation suite visible in background. Our ICU is located in the treatment area for continuous monitoring and care. We have IV pumps to regulate the amount of IV fluids each patient receives. Our surgical suite is equipped with our carbon dioxide surgical laser and gas anesthetic machine. We always utilize our anesthetic monitor to record the temperature and heart rate and rhythm (EKG) of each patient. We have 5 private suites that are decorated to provide a more quiet and relaxed stay while boarding. We have a versatile arrangement of condos for our feline friends while they board with us. They have the ability to go from downstairs to upstairs or side to side, all while looking out a large glass window. We offer runs for our boarding dogs that can accomadate their belongings and extra room to walk. Kept separate from our boarding facility, the canine ward is designed to allow recovery in a calm environment. Our grooming area allows us to peform most of your pet's grooming needs to include medicated baths and nail trims. Our smaller tub is needed for physical therapy exercises.